The problem is, I can’t seem to get over it, and it’s starting to annoy me. Over the last few weeks, I seem to have gone backwards on the ‘getting over it’ scale. It’s partly because I started seeing someone new (which, it turns out, I am absolutely not ready for, and it has consequently ended) and partly because I’m missing a big goal and some focus, so my thoughts are drifting off elsewhere. Unfortunately that place is back into the past. To start with I thought I might rectify the problem with the obvious. The first few months after my break up were so (relatively) bearable as I let myself be completely and totally consumed with training for the Paris marathon. Maybe that’s what I need to do again, I thought. I’ll sign up for an autumn marathon. But as much as I would love to go back to Berlin in September, I don’t think repetition is the way forward. I’ve already decided on a rather large and scary nutrition goal, which I’ll share more on next week. But for now, I’m feeling a little bit lost when it comes to my fitness life. I’m running WOTN in Amsterdam next weekend which I’m really looking forward to, but I have already decided not to run Run Hackney two weeks later. I am just not feeling in the right frame of mind to train for and run a half marathon. In fact, I haven’t run in two weeks. Two weeks is nothing in the grand scheme of things, but it’s probably been a good six or seven months since I’ve gone that long. I was loving running at the beginning of May, but then my knee decided to get angry with me and I haven’t run since. So I’m properly on a break from boys and now running has decided we need some time off too. I don’t have a race in the calendar until September and the last of my four planned European run adventures will soon be here and gone. Now what the heck do I do?! Whether it’s wearing your trainers to the office so you don’t have to carry them around or popping to the shops after yoga still clad in leggings, incorporating fitness into your life also means incorporating the clothes you need to wear. I’ve got to the point now where I actually prefer and feel more comfortable in sportswear, so even on days I’m not working out, I usually end up in a combo of normal clothes and Lycra. Much like the above, you will find yourself in a constant cycle of either being on your way from or to a class/yoga practice/the gym. This requires stuff. I wish I could rock up to the office in my runners but until that becomes acceptable, a change of clothes (along with post-workout beautifying tools) is a necessity. 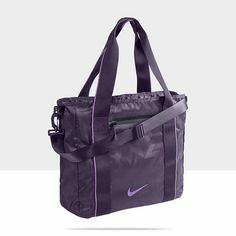 I’m still working on the most efficient, least annoying way to cart my stuff around – I recently bought this purple number by Nike, but nothing helps the weight of feeling like I’m lugging half my possessions around the Tube network. Sigh. Well I found it did anyway. I’ve not become a calorie counting, macro measuring athlete by any stretch (I will happily admit I don’t have the self control or determination for that), but I’ve found I do pay more attention to the ingredients in things. I try to avoid eating too much bad stuff, and have really tried to be better at taking my own lunch and snacks into the office. Thanks to my dessert loving boyfriend, I eat something for pudding after pretty much every evening meal, but it’s more about being aware of the balance between how much you move and how much you eat. I always have and always will be a planner, but now I’ve committed to training for the Paris marathon, this seems to ramped up a notch. 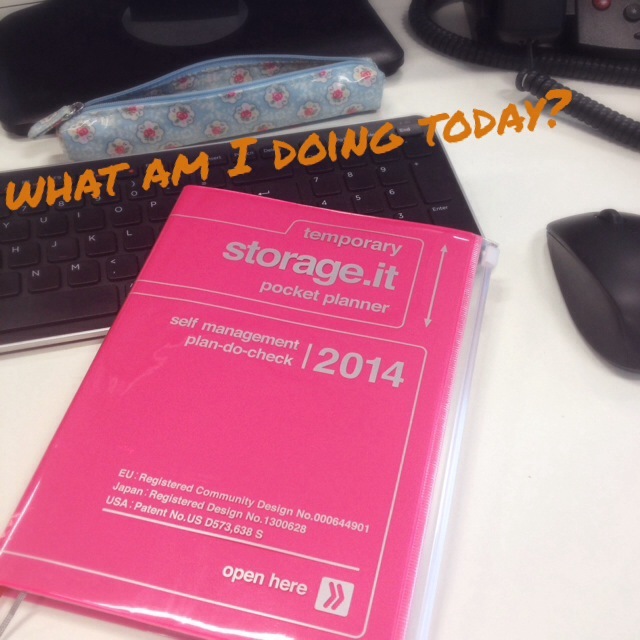 I’ve made a mega training plan that’s 8 pieces of A4 stuck together (!) and it’s already kind of turned into the main calendar we’re using in the flat for planning anything up until May 2014. I’ve already got every fitness class and gym trip I’m doing for the next two weeks planned out as I’m trying out a few new places. If you’re training for a particular race, it becomes a bit of necessity to plan out when you’re going to fit it all in. If only I could work part time. 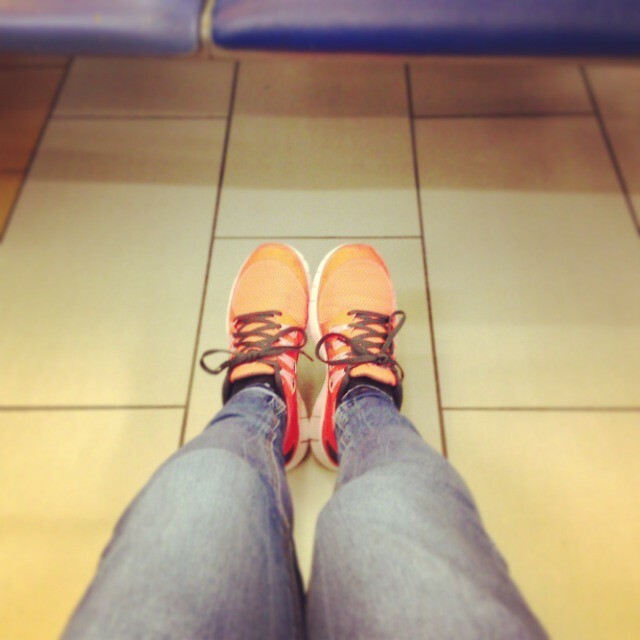 Naturally any other runner will be able to natter on about running for quite a long time (possibly even hours), but I’ve found being a runner can also help when chatting with normal (or should that be non-normal?!) people. In the office, I’m known as the girl that runs, and although it can get annoying when you have the same conversation fifteen times over about that race you ran over two months ago, sometimes that’s preferable to the awkward silence/tea making shuffle around each other/queue for the microwave in the kitchen. How else has running changed your life (other than the obvious)? The past few months haven’t been the most fun. I’ve been far from miserable, but a string of failed attempts to flee the East Midlands to something bigger and brighter in the Big Smoke have left me feeling deflated. I’ve been within touching distance on more than one occasion, so when it all falls through it’s all the more heart breaking. Couple this with spending almost every weekend (which has now turned into every weekend) on a train doing the long distance relationship commute, as well as a recent house move, and running – or indeed even maintaining a basic level of fitness – has slipped way, way down my list of things to do. As such, in the last seven weeks I’ve managed one three mile run and one NTC class. I’ve lost fitness, tone and strength. I’ve put on weight. But over and above the thoughts of races, times and PB’s that aren’t achievable right now, the scariest thing has been the impact on my health. 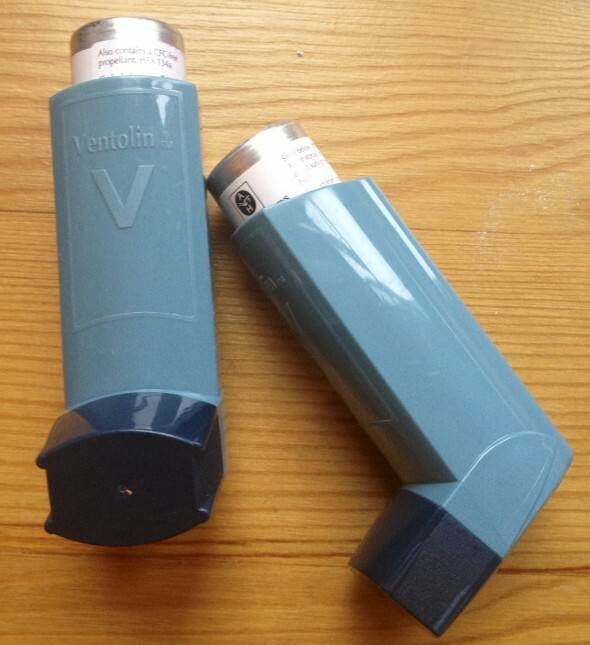 I’ve had asthma for as long as I can remember. I can also remember as a child being told that it was likely that I’d ‘just grow out of it’. This kept happening, I got older and older, and now here I am at 25 – I still haven’t grown out of it. I went for my annual flu vaccination earlier this week and had an impromptu asthma check up to enable me to get a new asthma inhaler prescription. The results were scary. Usually it’s just a few questions that I breeze through, no problems. For the first time in as long as I can remember, the nurse showed genuine concern in how I was (or rather, wasn’t) managing the condition. My peak flow meter (a device in which you blow a short, sharp breath as a measure of how quickly you can expel air from your lungs, measured in litres per minute) reading was 340 versus a more acceptable reading of someone my age and height of around 460. Basically, my lungs are functioning at 25% less than the capacity they should be. One other question was “do you find your asthma is effecting your daily life?” and I was horrified to find myself answering, “I do tend to try and avoid stairs at the moment”. The nurse’s – more than appropriate – shocked response also noted I was far too young to be coming out with such a statement. IT IS RIDICULOUS. The appointment showed me that instead of ‘not having time’ to take my health (and fitness) seriously, I should be channelling my current frustrations and using them to help me focus. I ran a half marathon less than seven months ago, but I’ve already let life take over, when running could be the perfect escape. There are several things I’m trying to change in my life, but I already used that excuse to flunk out of my Great North Run training. Time to drop that one. Sometimes a situation is far from ideal, but I shouldn’t punish my body because of it. A couple of weekends ago, I finally plucked up the courage to take myself ‘all the way’ down (from Euston) to Clapham for the Nike Training Club Live Class that happens every Saturday morning. I’m in London one, maybe two, weekends a month and I’d seen the classes up on Facebook and had wanted to try one out for a while. They don’t run any in my hometown of Nottingham (I’m assuming due to the lack of Nike store) so had to wait for a free day in London to come around. A couple of weeks ago, my two best friends (the ones I talked about it a post published a mere 36 hours before), were in the pub together, and they read my blog, along with my Twitter feed. What was revealed to them was the life that I had been hiding from them – all the people I talk to and interact with over Twitter and various blogs. My decision not to drink anything during November. And my motivations, fears, thoughts and pledges that I have been putting out there, into the virtual universe.